Bet sizing in poker is something that a lot of people disregard these days. But sizing your bets properly can actually make a massive difference to your bottom line at the tables. No Limit Hold'em in particular can be best viewed as an art. You are free to bet anything from the very minimum amount (one big blind) to your entire stack at any stage of the hand. So you should never stick to so called "standard" bet sizes in all situations. You should tailor your bets perfectly instead for the particular situation and opponent. 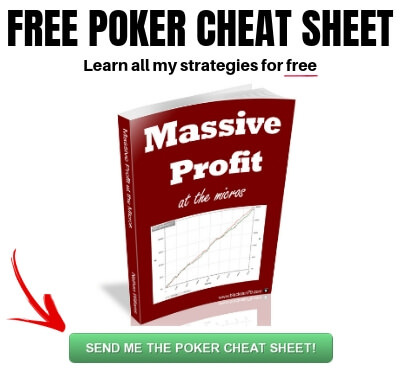 In this article I am going to give you my top 6 bet sizing tricks to skyrocket your winnings at the poker tables. A 3Bet is a re-raise preflop. Even if you are playing at the lower limits you are going to see a lot of 3Bets these days. But what is the right bet sizing to use with your 3Bet? Well, this is where I use something called the 3x rule. The 3x rule means that your 3Bet should always be at least 3x the original raise. Player A raises to 3 dollars. Player B should 3Bet to 9 dollars. So when you make it the correct amount what this does is it forces your opponent to make a real decision about whether to continue on in the hand or not. Many people make the mistake of only making it 2.5x or even just a mini-raise (2x) these days. And what this does is give their opponents clear odds to call in many situations. This not only prevents you from getting value with your strong hands but it also prevents you from making them fold when you are 3Betting light, which you of course want. Lastly, it is important that you also make it a little bit more when you are out of position (i.e. when you are in the blinds). I like to employ a 3.5x rule in this situation. The reason why you want to make your 3Bet sizing a little bit more when you are out of position is because it will be more difficult to win the hand when you have to act first on every betting round postflop. By increasing your re-raise bet sizing preflop, you give them a little bit more incentive to fold their hand which is often a fine result when you are in the blinds and therefore out of position. Another spot where small stakes poker players in particular make a lot of bet sizing mistakes is in 4Betting. A 4Bet is simply a re-raise of a 3Bet. You won't see a 4Bet anywhere near as often as a 3Bet because it usually represents a very strong hand. However, 4Bets happen often enough that you should definitely know the correct bet sizing. I like to use what I call the 2.2x rule in this situation. Player A raises to 3 dollars. Player B 3Bets to 10 dollars. Player A should 4Bet to 22 dollars. Why 2.2x you might ask? I have found this to be the perfect amount to both get value with your monster hands and to risk the least when you would rather just make them fold their hand. 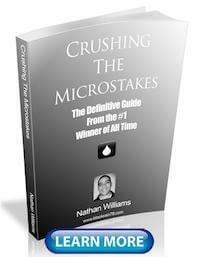 Many people make the mistake of either making their 4Bets too small or too big, and usually the latter. You don't want to blast them with a 3x or higher 4Bet sizing because this takes all of the play away from them. It basically forces them to have the nuts to continue. However, when you make it 2.2x, this is the perfect amount that says "Hey I am serious about my hand" but you are leaving the door open for them to do something silly like bluff jam on you as well. You always want to make sure that with any bet size you make in poker that you are putting your opponent to a proper test. You want to get it as close to 50/50 in their head about what to do. Long gone are the days where you can just blast 80% of the pot with your good hands on the flop and expect to get called. Don't get me wrong, you can and definitely should still do this against the fish which I will discuss in a moment. But against most of the regulars these days, you need a better strategy than this. And what this really means is that you need to be able to apply consistent pressure against them with a wide range of hands and not risk so much. So this is why tournament style CBet bet sizings have become much more popular in recent years in cash games. This means flop CBets anywhere in the 40% to 60% of the pot range. I personally like to mix it up constantly but I pretty much always keep my CBets somewhere within this range these days. And I should mention that this also applies to the turn and river as well. I very often use a multi-street attack with this 40%-60% bet sizing. This allows me to apply constant pressure against them at a relatively cheap price. And since I am also betting the same amount with all of my monster hands, they can never know whether I actually have it this time or not. Now you can take everything that I just mentioned and throw it all out the window versus the recreational players, the fish. 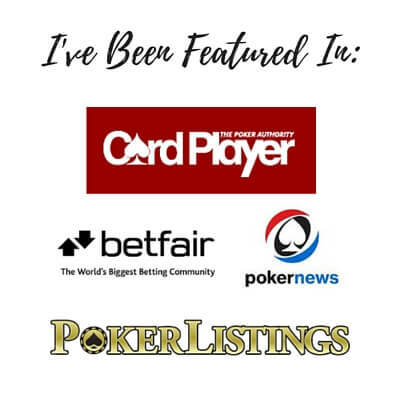 I am talking about the 40%+ VPIP guys who play way too many hands, call down with any pair and chase every draw that I talk about all the time on this blog. They are often very easy to spot. And the reason why you need a different bet sizing strategy versus these players is because they aren't paying any attention. These players play the game for fun. They aren't trying to improve or think deeply about what you can have. In fact, the large majority of the time the only thing that is on their mind is what their hand is and how pretty is looks to them. So using the balanced bet sizing strategy that I just talked about versus the regs above would be a serious mistake against the fish. It would essentially be throwing money away. 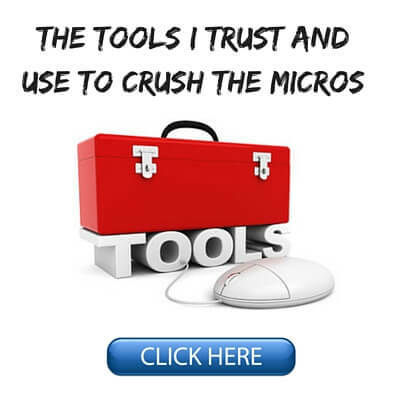 As I talk about in detail in my first book Crushing the Microstakes, you should be betting larger amounts with your good hands in all situations against them. And at the same time, you should also be risking less with all of your bad hands. So for instance on the flop, I will regularly just bet 50% of the pot when I have something like king high and I just want them to fold. However, if I have top pair or two pair, then I will definitely be making it more like 80% of the pot or even more in order to get the most value out of them. It is important to always remember that a recreational player's biggest concern is their own hand. If they have something, then they are going to call you. If they don't, then they will fold. You have absolutely no control over which one it is going to be this time. But you can increase your winnings dramatically by making sure that you are charging them the maximum when you have a strong hand and risking the least when you have a weak hand. Another way that I use bet sizing to control my opponents at the poker tables is to use an extremely small bet sizing in some river situations where I know that I am ahead and I want a call. And this is something that I will only do against regs. 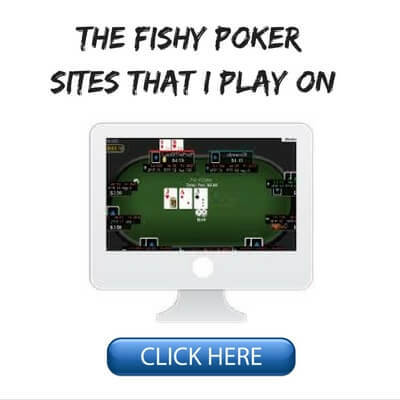 Once again against the fish you are better off just betting bigger when you want a call because they will pay you off with a much wider range of hands. However most regs are smarter than that. 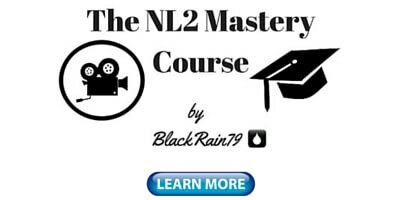 They know that if you have raised preflop and shown a bunch of aggression after the flop as well, then you are usually not messing around. They know that you will often have some sort of decent made hand and so they will lay down all of their bluff-catchers like middle pair, bottom pair and ace high. But it is important to remember that the size of the pot on the river is at it's largest. Therefore, missing bet sizes on this street can be disastrous to your winrate. This is because when good winrates at the micros these days are often as low as 5bb/100, getting an extra 5bb out of your opponent on the river (compared to a big fat nothing when they fold) is absolutely massive. In fact, if you could find a way to do this just once every 100 hands, a 5bb/100 winner would effectively double their winrate over night and become a massive winner. So what are some good spots to do this? In spots like this your opponent might not put you on a hand this strong and they might be willing to look you up with a weaker hand, especially if you have a crazy table image. But the huge, huge mistake that many people make here is bombing the pot (70% for instance) and making it easy for their opponent to fold. This is just too much. It becomes a no-brainer for them to fold. So often in spots like this where it is pretty clear that my opponent is not very strong I will bet as little as 30% of the pot. This is the definition of a "please call me" type bet sizing. The price is just too good for them not to look you up and see it. Always remember to assess your opponent's range on the river and think deeper about what bet sizing will make them call. Getting these extra couple big blinds out of them (as opposed to blasting the pot and forcing them to fold) is the difference between average and elite poker players. The last bet sizing trick that I want to talk about is the river over-shove versus the fish. This is another bet sizing that was made popular by my first book in particular and it still works very well today. What this bet sizing entails basically is massively over-betting the river against a recreational player when two conditions are in place. 1. You have the nuts - straight, full house, flush etc. 2. The board is very action heavy - it is very likely they have something strong as well. You see here's the thing. Fish don't fold straights or flushes. They don't fold trips or two pair either. Heck, most of the time they don't even fold top pair! So when you are in a situation where you have an absolute nut hand and it is very likely that they have something strong as well, you are absolutely throwing money away by not charging them the maximum. But there are numerous other straights on this board such as 23 and any 7. They could also have a strong top pair (AK, AQ) or numerous two pair hands with the ace (A8, A6, A5 etc.). Our fishy friend is never going to fold ANY of these hands. When we have the mortal nuts like in this situation, it is an absolute crime not to shove all of your money in the middle here. And it is a massive hit to your winrate as well. Because once again, this just goes back to the point above that the recreational player is completely engrossed with their own hand. They either have something strong this time or they don't. And if they do, they are never folding for any amount. Why then would you not give them the opportunity to make the ultimate mistake? I hope that these 6 bet sizing tricks will help give you some ideas of how to start profiting more in your games. Because frankly, most of these situations happen very frequently and if you can learn to make more optimal bet sizes, it can be absolutely enormous for your winrate. It is very important to think about your bet sizings at all stages of the hand. Because they matter big time, especially in today's games where most of the edges are smaller. Elite players at these limits don't miss all these little opportunities to get more value when they want it and to get away on the cheap when they are just looking for a fold. They also make sure to lead the fish into making massive mistakes and force the decent regulars into a 50/50 decision where there is no best play for them to make. 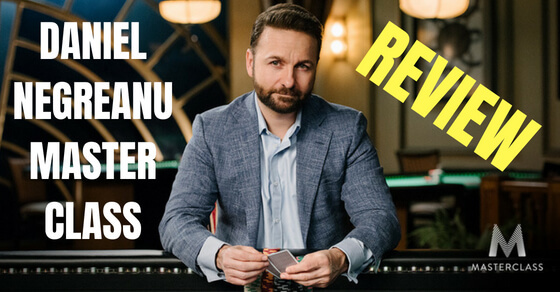 Make sure to let me know in the comments below what bet sizing tricks you use at the poker tables. This article couldn't have come at a better time for me! I just moved a portion of my bankroll from a very fishy site that has a non-existent rewards program to a site that has a killer rewards program but has noticeably tougher opponents. The article was a good reminder of betting tactics to use against the better regs. I'll definitely keep chasing the fish but I also want to learn how to beat better opponents, so thanks for posting this! Awesome, glad I could help JM! Nice work Thomas and I am glad that this article helped! I have experienced the same thing so many times at stakes like NL2 especially. They will call with anything even if you shove all in. But you just have to always remind yourself of the simple math. 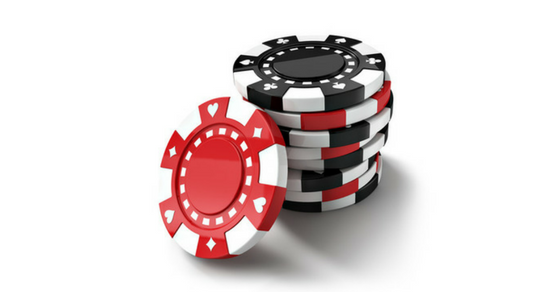 A flush draw is a significant underdog to a hand like top pair. In other words, they will lose big in the long run. I struggle with the overbet. Usually i bet small on the river to entice a call when I have the nuts. I think in the long run people will call small bets more rather than overbets. i agree with you thats its player dependent. Yes, you are right. 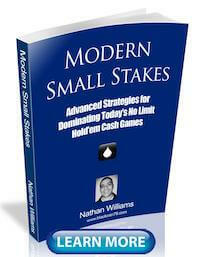 In the long run people will call small bets more often than large bets. 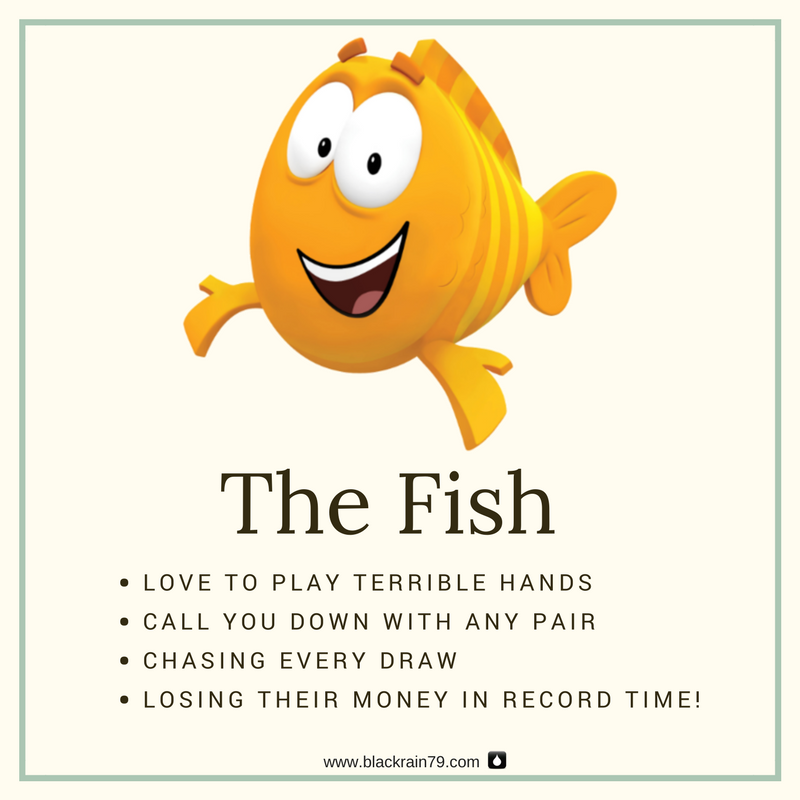 However, versus fish in the exact situation that I describe in this article, the overbet has more long run profitability in my experience. I just studied this article this morning and used tactic #6 and stacked a fish. I flopped a set, turned quads and bet 1/2 pot both streets. Overshoved river and he called w/an underpair to the KK on the board. I think I only made the overshove b/c I read about it today. Thanks so much! Awesome Sky, glad it worked out for you!